The National Weather Service is warning that up to 2 inches of rain is expected through the area, resulting in a flood watch being issued for Wednesday night through Thursday morning. Because of recent rains, the area has become more vulnerable to poor-drainage flooding, along with stream and river flooding, the advisory says. The advisory covers all of Camden and Gloucester counties as well as northwestern Burlington County and surrounding areas extending into Pennsylvania. Today: Rain, snow, and sleet likely before 1 p.m., then rain. High near 45. Breezy, with a east wind 10 to 15 mph increasing to 17 to 22 mph in the afternoon. Winds could gust as high as 34 mph. Chance of precipitation is 100 percent. Little or no snow accumulation expected. Tonight: Rain. The rain could be heavy at times. Low around 38. Windy, with a northeast wind 21 to 26 mph decreasing to 15 to 20 mph after midnight. Winds could gust as high as 43 mph. Chance of precipitation is 100 percent. New precipitation amounts between 1 and 2 inches possible. Thursday: A chance of rain, mainly before 10 a.m. Mostly cloudy, with a high near 45. Breezy, with a northwest wind 10 to 15 mph increasing to 17 to 22 mph in the afternoon. Winds could gust as high as 34 mph. Chance of precipitation is 50 percent. New precipitation amounts of less than a tenth of an inch possible. 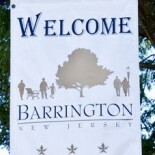 This entry was posted on December 26, 2012 by Barrington Bulletin in Region and tagged weather.